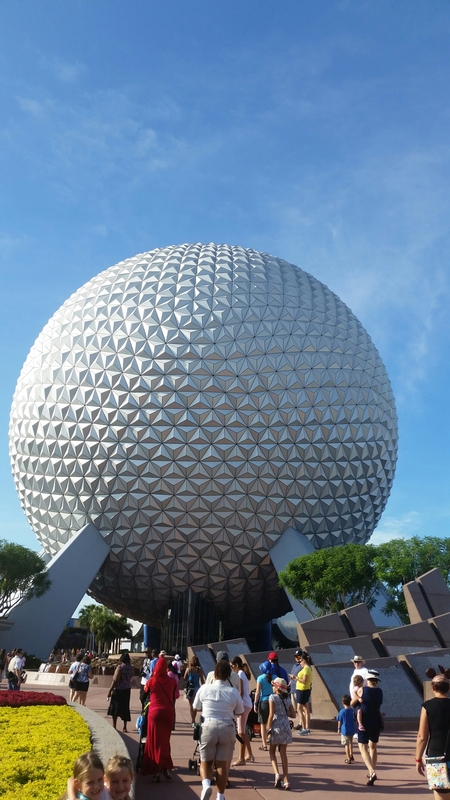 Epcot is one of those visually iconic locations that no one is quite sure about. Often pegged as the grownups’ park, its brief generally falls into the educational part of Walt Disney’s vision, and the whole main area feels like a set from a scifi film. Perhaps because of that visual distinctiveness, Lady M had an emotional response to arriving. Tears and smiles warred for a while before we settled on grins. She’s always wanted to come here, and so too had her late mother, so emotions were running high before we started. This isn’t so much of a thrill ride location, though the Test Track and space launch simulators would beg to differ. Instead there’s a mellow spirit of inquisitiveness that makes this place a nerdy, foodie paradise. From the Innoventions sections to the themed food and drink sections around the world, communication and cooperation are the watchwords you encounter over and over again. After the fast pace of yesterday, it was good to slow down. It feels like a place to browse rather than conquer. Even our evening meal at Coral was chilled out, waving to passing divers in the tanks, and then we headed home after the explosive finishing fireworks to collapse. 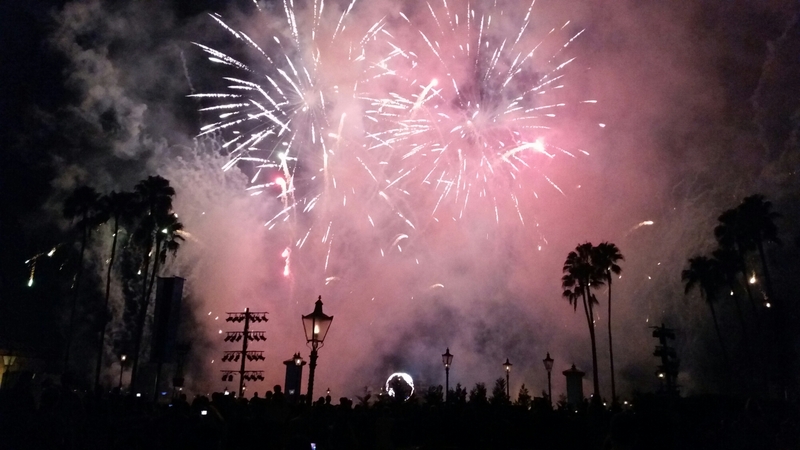 This entry was posted in family, holiday, travel and tagged Disney, epcot, family, Holiday, travel. Bookmark the permalink.